Baseball: down to the final four. You can see clearly where my loyalty lies, now that my old home town team (Rays) and team from my native region (Pirates) have been eliminated from contention. I have some feeling for the Tigers--God knows, Detroit needs all the help it can get now--and I've long admired the Cardinals on purely aesthetic grounds based on the way they play. I've never forgiven the Dodgers for leaving Brooklyn, even though I now know it was more Robert Moses' than Walter O'Malley's fault, and for Davey Lopes' loping around the bases with his finger in the air as they beat my Mets in the 1988 NLDS. So, I'm hoping that the Cards soundly thrash the Dodgers (they're tied at 2 in the 11th in the opening game at St. Louis as I write this) and that the Red Sox beat the Tigers (but not so badly as to be humiliating.) This would set up a replay of 1967, the year of the Sox' "Impossible Dream," when I had just arrived in Cambridge and, after years of baseball latency, succumbed to Fenway fever until they fell to the Cards after a hard fought seven games. 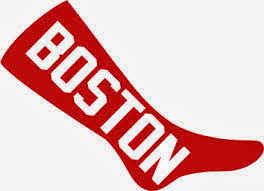 This year I hope they go seven games again, but that the Sox win the Series. Update: Cards go one up in the NLCS thanks to a walk off single in the 13th by ex-Met Carlos Beltran. Second update: Cards now up by two in NLCS (yay! ), but Anibal Sanchez and the Detroit bullpen blanked the Sox as the Tigers won the game 1-0 and went up 1-0 in the ALCS. Today is the 200th anniversary of the birth of Giuseppe Verdi, perhaps the greatest pop tunesmith of the nineteenth century. The video above shows the chorus va pensiero sull ali dorate, or the "Hebrew Slaves' Chorus," from his opera Nabucco. The opera company and venue aren't identified, but the set looks like that of the Metropolitan Opera production I saw some years ago. When I saw the Met's Nabucco, at the close of this chorus someone in the audience yelled Viva Italia! A friend later told me that va pensiero is considered "the unofficial Italian national anthem." This video is of the triumphal march from Verdi's Aida, at the Metropolitan Opera in 1989. This march, which I first heard on the Columbia Records album Classical Music for People Who Hate Classical Music, bought by my parents when I was about eight, provided the soundtrack for my most grandiose childhood fantasies. Update: WQXR is celebrating Verdi Week.